Our range of restaurant menu boards add a simple country look with its artistic flair and antique finish. 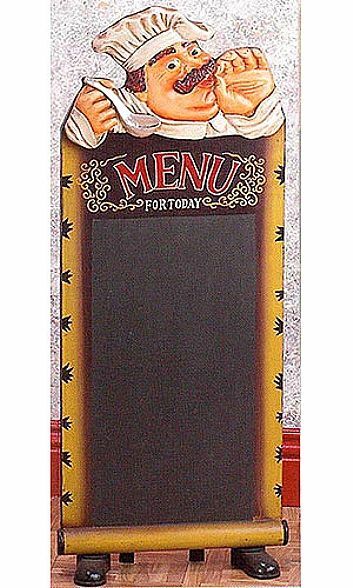 This tall standing cook is holding a large menu chalkboard which lists the dishes for the day. A great addition for the home and restaurant, this amiable cook holding a large menu will make a neat addition for those seeking whimsical bistro decor. Normally ships in 2-3 weeks. Ships Oversize.